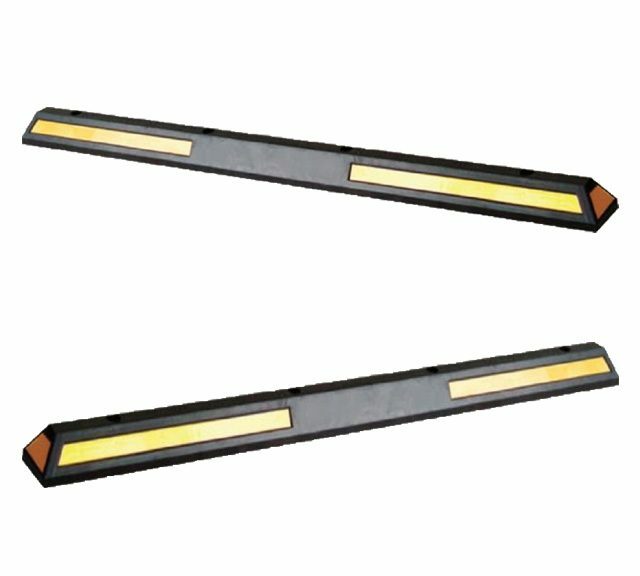 Wheel stops provide the ideal solution for inhibiting contact with an end barrier or high kerb, controlling the kerb overhang where it is inconvenient or hazardous to pedestrians, and also inhibiting encroachment into an opposing truck parking space. Constructed from recycled rubber, Australian Bollards’ AB-WS-2000 wheel stops are longer in length and more durable to accommodate the weight of larger vehicles, such as vans and trucks. Similar to the car wheel stop, the truck enforcer is a one-piece construction which enables the wheel stop to be installed by one person without the need for heavy machinery. Our wheel stops comply with Australian Standards (AS2890.1:2004) due to its exceptional performance ratings. They have been built with materials used ensure durability and longevity over an extensive range of time.